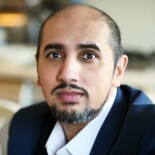 Welcome to Mo Ansar’s official website – read Mo’s thoughts on “Ansar’s On a Postcard”, follow the rock n roll journey with Solomon, his journalism, TV, radio interviews and broadcasts, and drop him a line by making contact. A discussion on the spiritual revolution and how we tackle the politics of prejudice, on The Trews. Viral – The Immigration Debate. Slavery, Tommy Robinson and the Far Right, amputation punishments and all the those tricky questions on Islam you always wanted to ask but never could.